Let’s imagine a Terrible Russian Scout. One dark night he is crawling in the mud, approaching closer to the positions of the 79th Brigade. He is carrying with him a bunch of varied electronics – they’re bored, the Muscovites, they would like to listen into other people’s conversations. Everything is as usual, everything is stable and organized – whereas earlier, all the conversations were done in an open channel in analog form. And with a simple Kenwood analog scrambler, this is not a problem. Having overcome all the hardships, privations and difficulties, he crawls to the position, and installs complex wiretapping equipment. He starts the devices and prepares to listen. Digital! Coded! Digital! It is not so easy to listen in. Hell, this was a really important task and WE did it together with YOU. As of today, in the Armed Forces of Ukraine there is no other brigade equipped with this level of digital communications. Yesterday we fullfilled one of the most important tasks, from my point of view – we delivered to the brigade a full set of devices for digitally coded communication. Next week, specialists will come to instruct and to train. Many thanks to the company Tsyfrovye Radio Systemy (Digital Radio Systems) and personally to Slavik for the idea, its realization and discounts. Moving forward. We have dozens more problems of this magnitude. 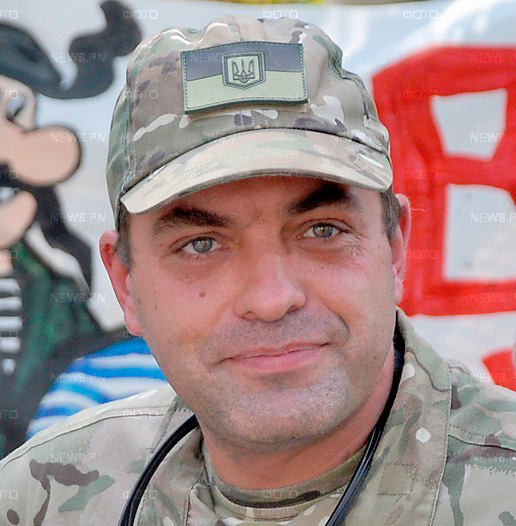 This entry was posted in "Voices" in English, English, Help for ukrainian army, Others, Pictures, South&Eastern Ukraine, War in Donbas and tagged help Ukrainian army, Iurii Biriukov, Ukraine, volunteer help, Wings Phoenix. Bookmark the permalink.